We LOVE metallic! Metallic paper, that is! Metallic paper hit the printing scene around 2004. We have seen it evolve from the most basic colors to every shade of the color spectrum. A fairly new color is Lapis Lazuli. This color is a rich midnight blue and its metallic form is beautiful! One of our couples this summer, Belinda and Justin McDowell, chose midnight blue and silver for their wedding colors. We certainly enjoyed creating their wedding stationery. For the invitation, we created a layered card with the silver invitation and midnight blue backing. 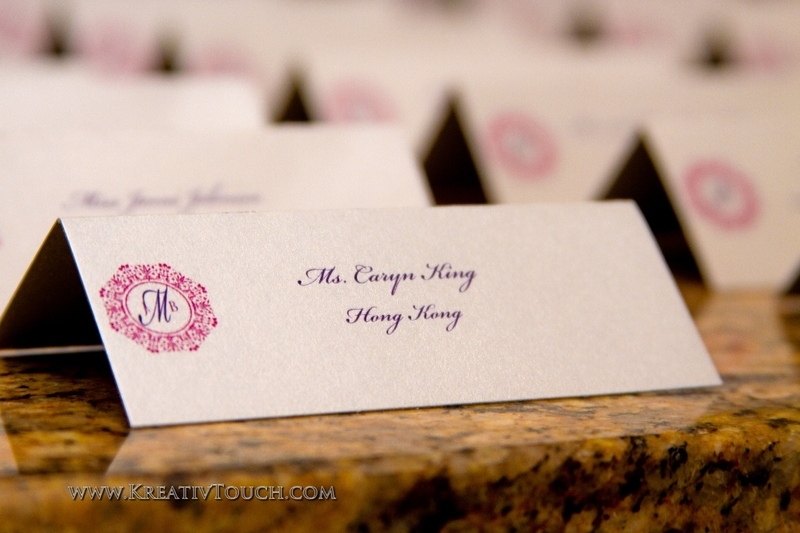 The wedding day stationery consisted of programs (The Lydia), name placards, and table tents, and menu cards. The program was accented with a rich blue ribbon on the side. The couple chose their favorite cities as their table names. 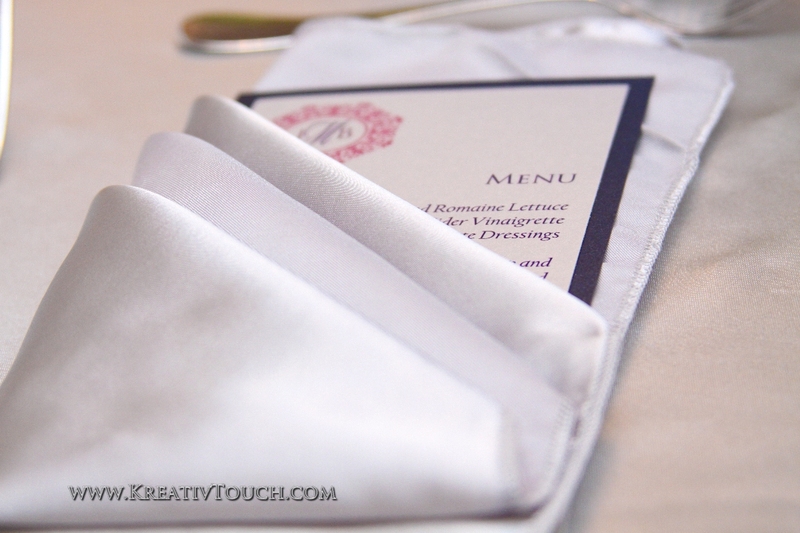 The silver and blue layered menu card was tucked away in the napkin creating an elegant table. 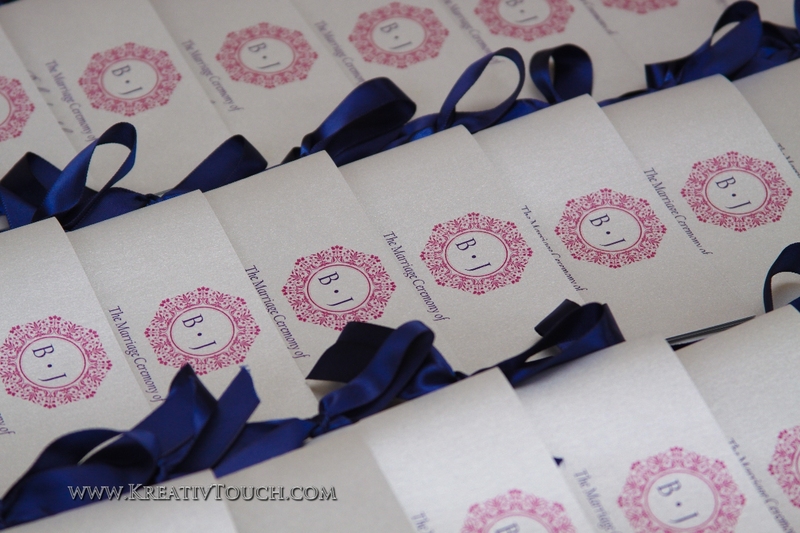 Of course, the stationery was heightened by the love the couple shares as it resonated through our design. This bride chose bold colors for her summer wedding and we created wedding wonders for her! Pictures courtest of the incredible eye of Julius Grimes at www.KreativTouch.com (Copyright, KreativTouch Photography).